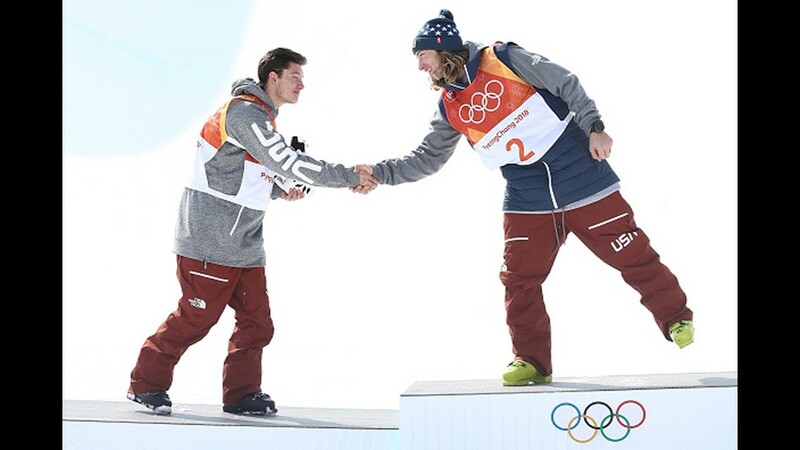 And it came in another classic showdown between the game's two best teams. 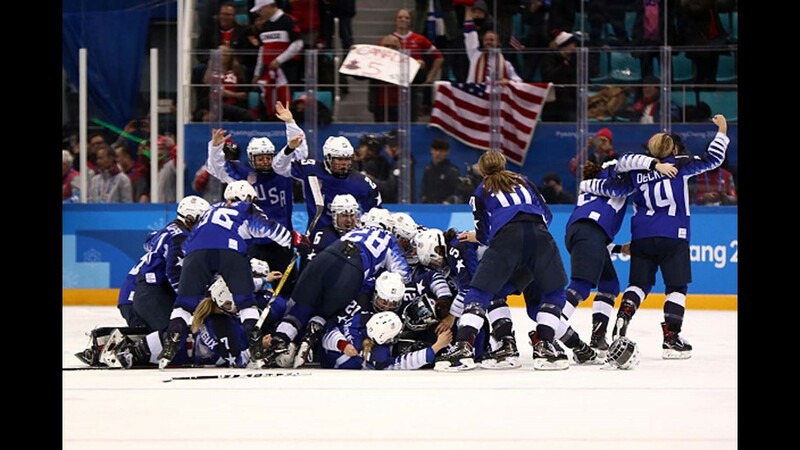 The U.S. women’s hockey team finally broke Canada's stranglehold on gold. 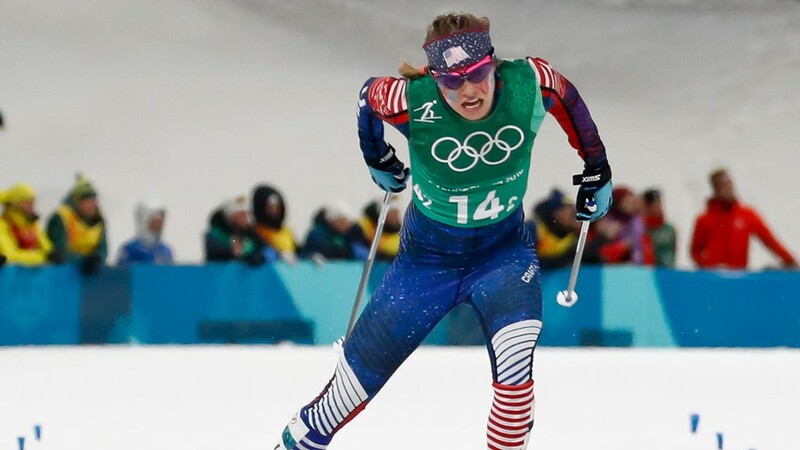 The USA came from behind to defeat Canada 3-2 on Thursday at Gangneung Hockey Centre, winning in a penalty shootout, to end Canada's run of four consecutive Olympic gold medals. 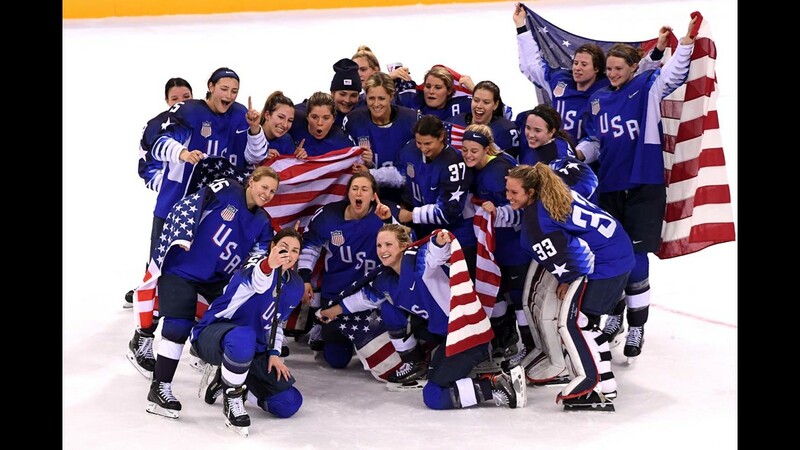 The USA won the penalty shootout 3-2, the game-winner scored by Jocelyn Lamorueux-Morando. 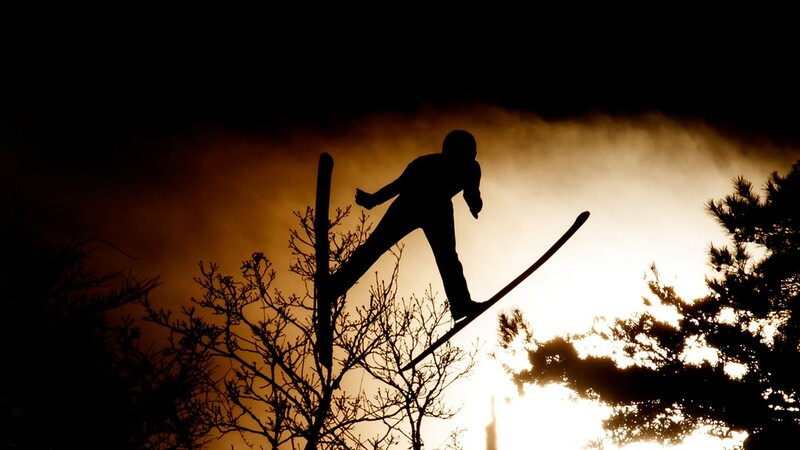 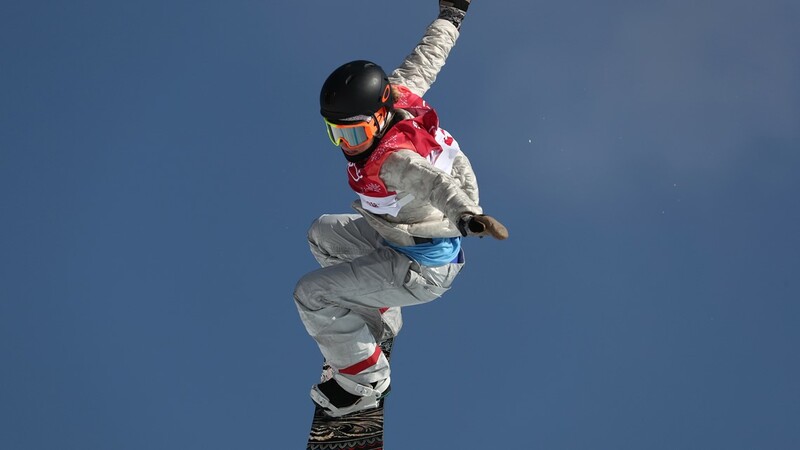 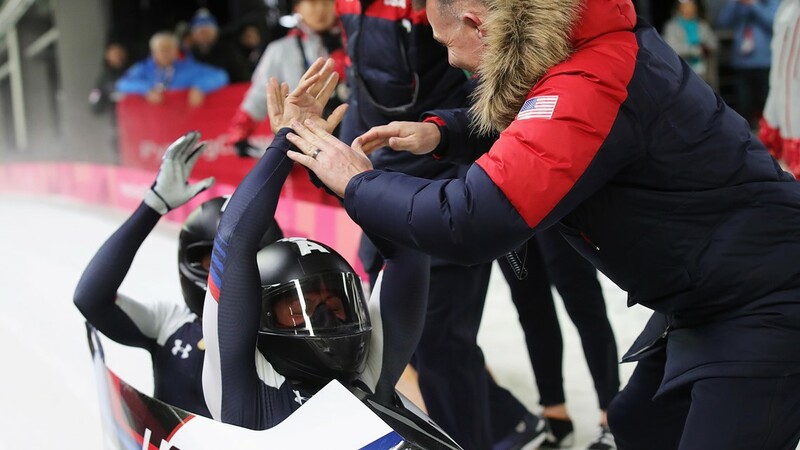 Though the Americans had won seven of the past eight World Championships, they had come up short in the Olympics every time since the inaugural year, 1998, three times losing to Canada. 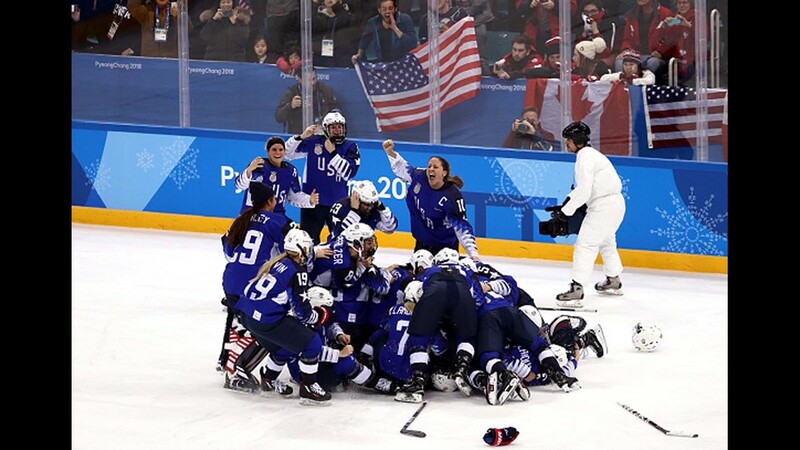 Hilary Knight scored a power-play goal in the first period, and after Canada had taken a 2-1 lead, Monique Lamoreux-Morando buried a shot on a breakaway to tie it 2-2. 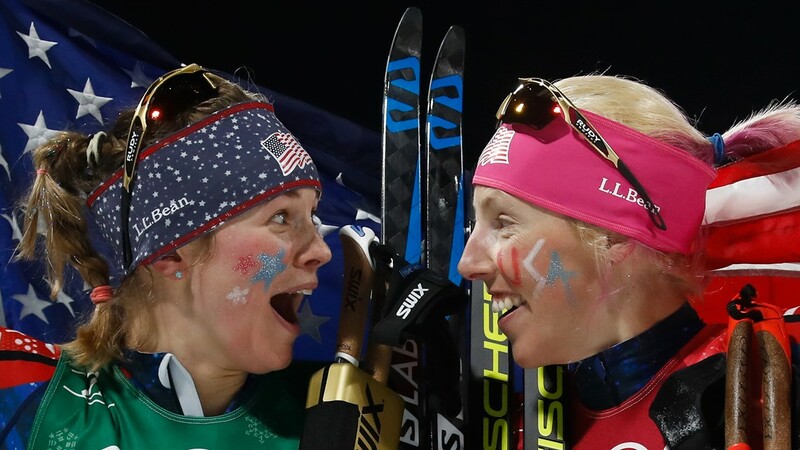 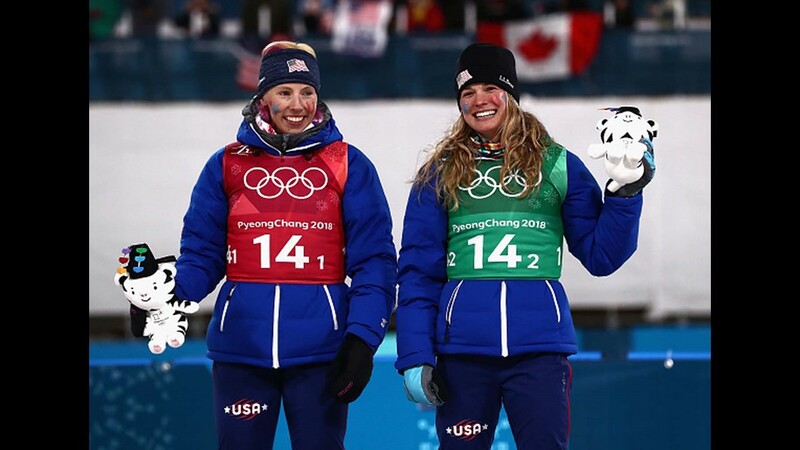 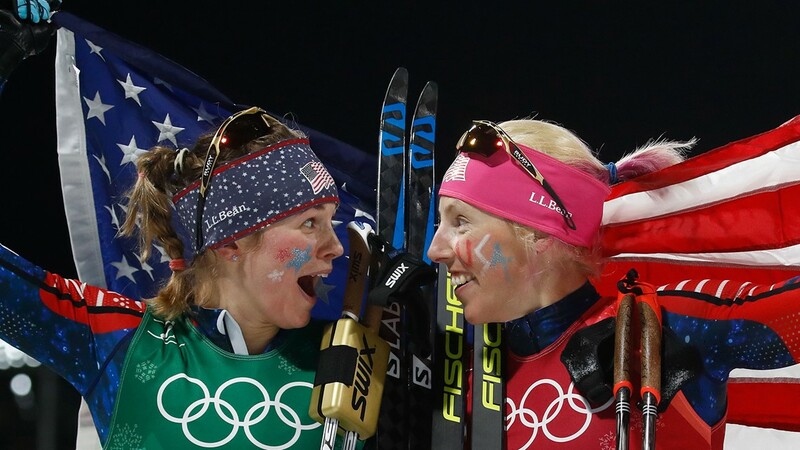 USA's Jessica Diggins (L) and USA's Kikkan Randall celebrate winning gold in the women's cross country team sprint free final at the Alpensia cross country ski centre during the Pyeongchang 2018 Winter Olympic Games on February 21, 2018. 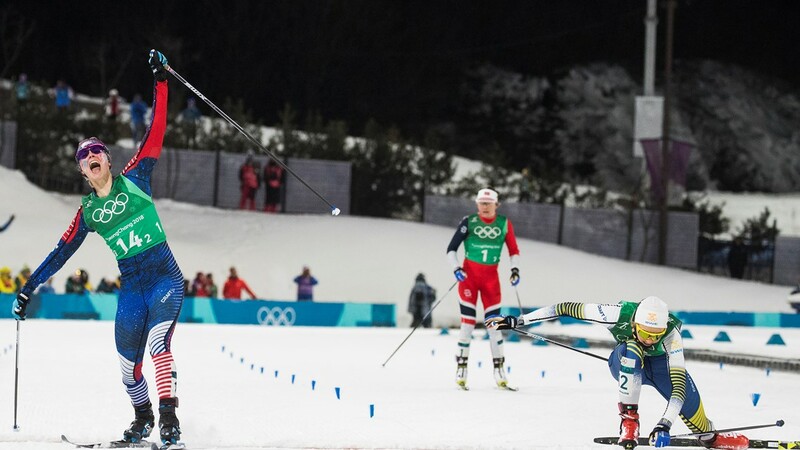 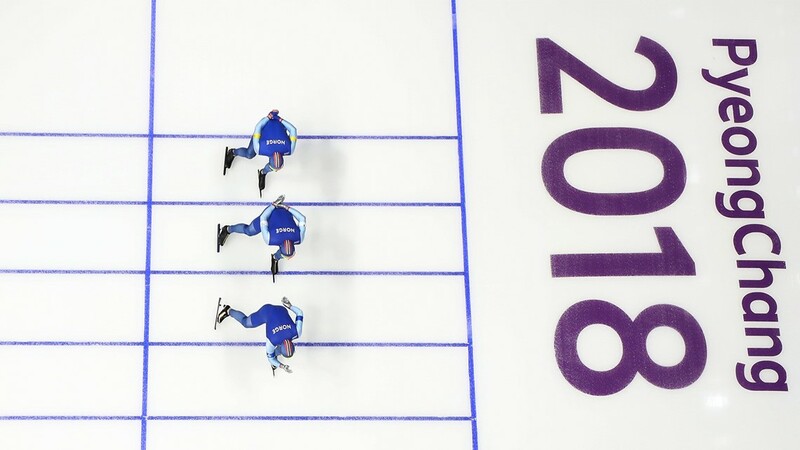 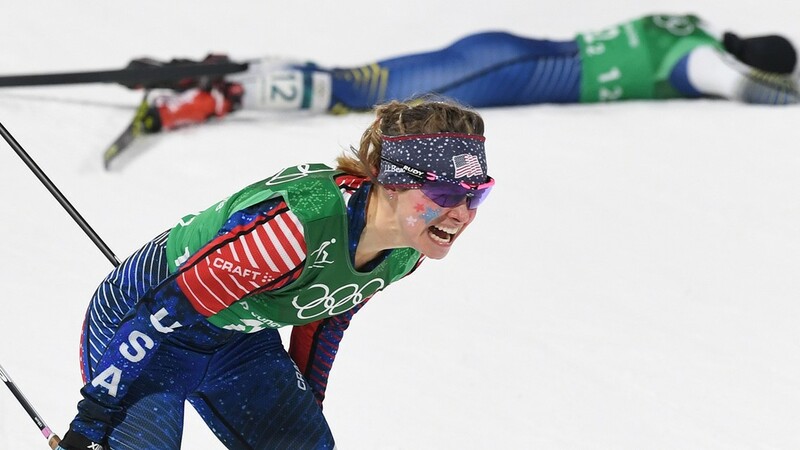 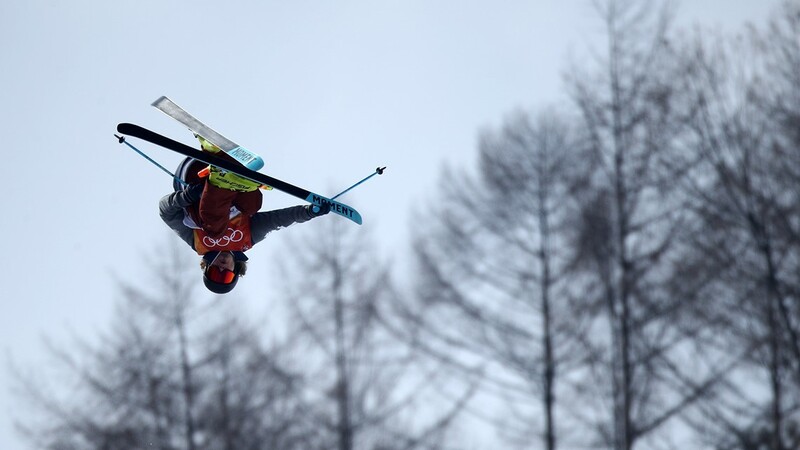 Jessica Diggins of the United States stretches across the finish line to win gold ahead of Stina Nilsson of Sweden during the Cross Country Ladies' Team Sprint Free Final of the PyeongChang 2018 Winter Olympic Games on February 21, 2018. 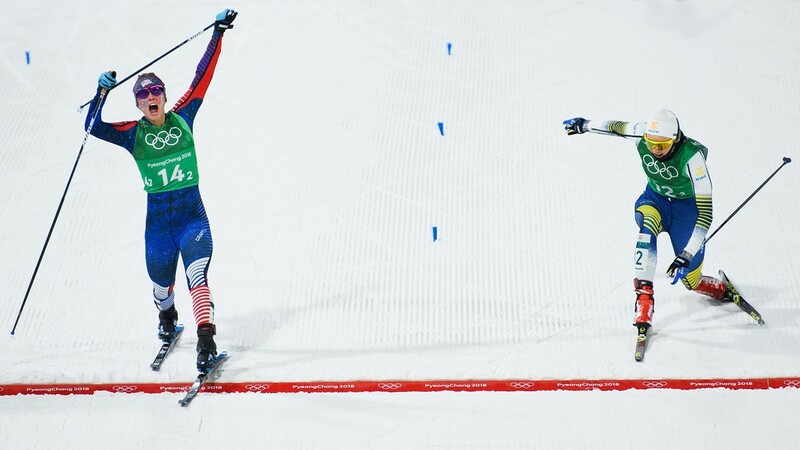 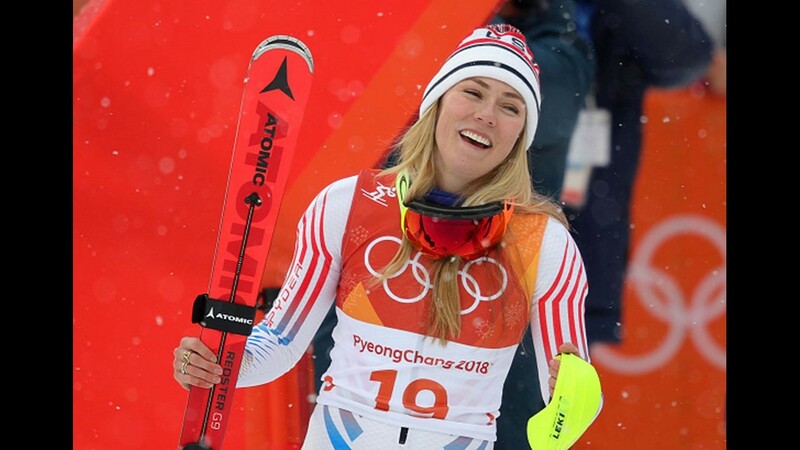 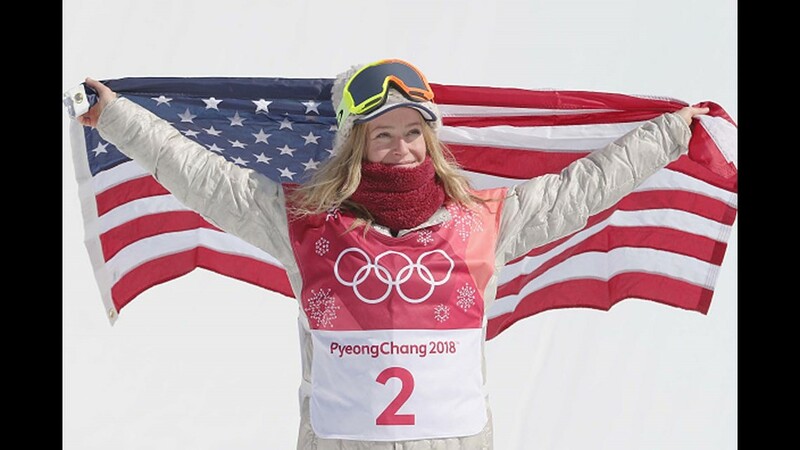 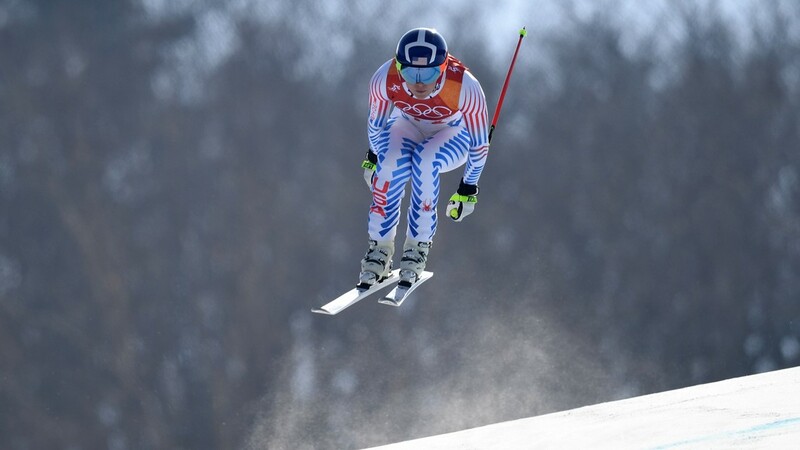 USA's Jessica Diggins reacts as the team wins gold in the women's cross country team sprint free final at the Alpensia cross country ski centre during the Pyeongchang 2018 Winter Olympic Games on February 21, 2018 in Pyeongchang. 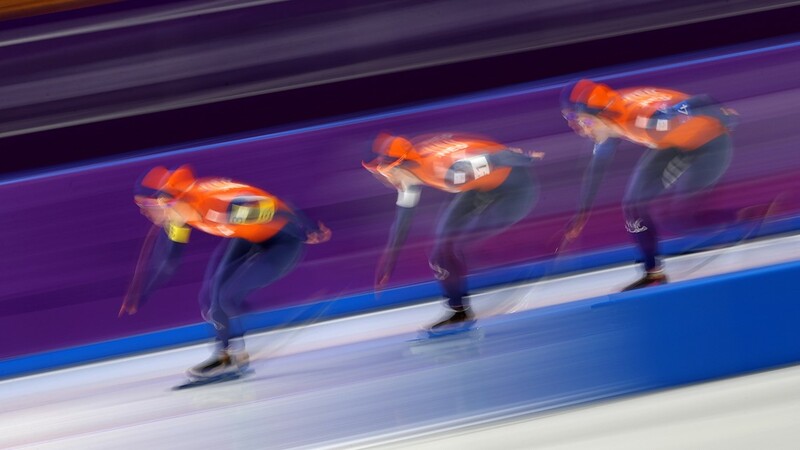 Team Netherlands competes during the Speed Skating Ladies' Team Pursuit Final A against Japan on day 12 of the PyeongChang 2018 Winter Olympic Games at Gangneung Oval on February 21, 2018 in Gangneung, South Korea. 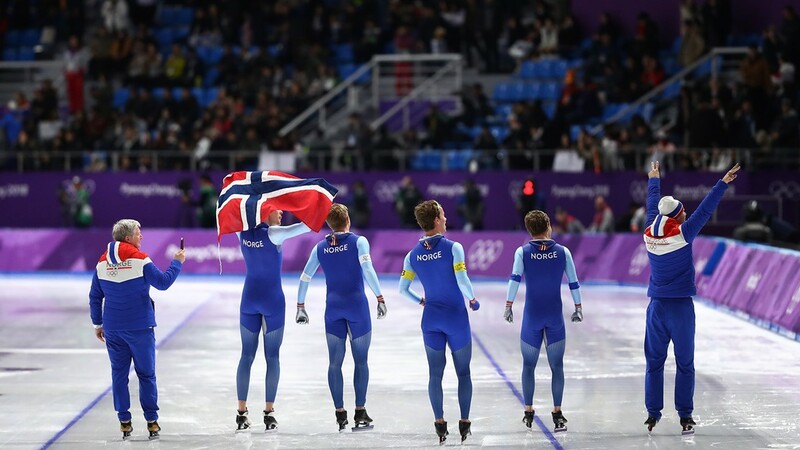 Havard Bokko, Sindre Henriksen, Simen Spieler Nilsen and Sverre Lunde Pedersen of Norway celebrate after winning the gold medal during the Speed Skating Men's Team Pursuit Final A against Korea during the Winter Olympic Games on February 21, 2018. 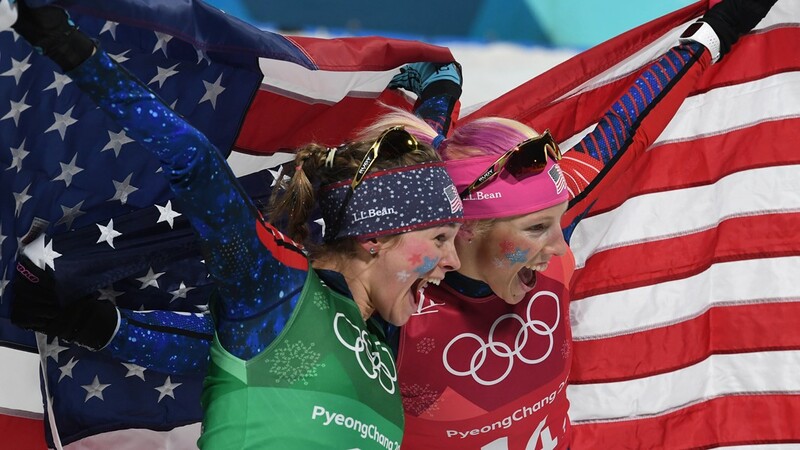 Heather Bergsma, Brittany Bowe, Mia Manganello and Carlijn Schoutens of the United States celebrate after winning the bronze medal in the Speed Skating Ladies' Team Pursuit Final B against Canada on February 21, 2018. 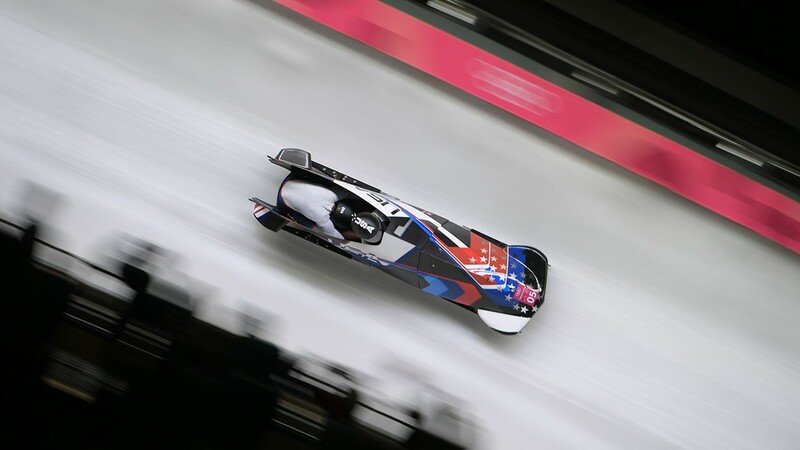 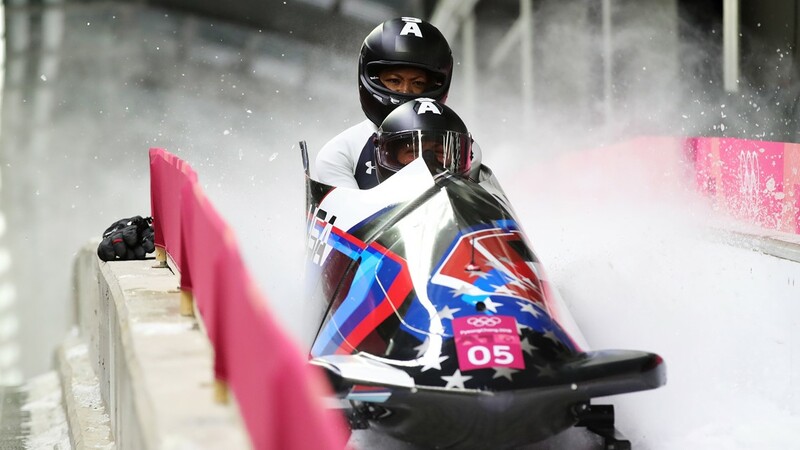 US Elana Meyers Taylor and US Lauren Gibbs compete in the women's bobsleigh heat 3 run during the Pyeongchang 2018 Winter Olympic Games at the Olympic Sliding Centre on February 21, 2018 in Pyeongchang. 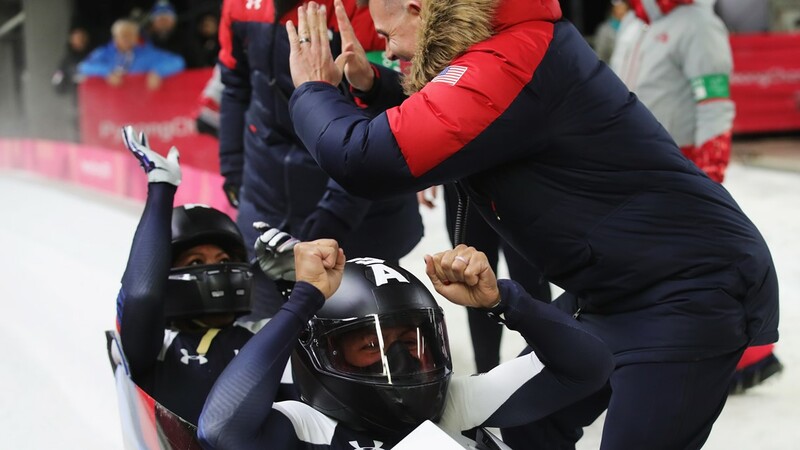 Elana Meyers Taylor and Lauren Gibbs of the United States celebrate in the finishing area during the Women's Bobsleigh heats on day twelve of the PyeongChang 2018 Winter Olympic Games at the Olympic Sliding Centre on February 21, 2018. 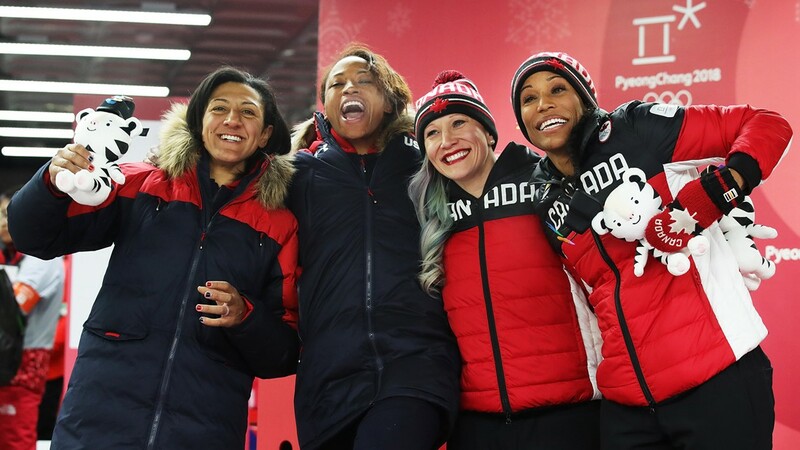 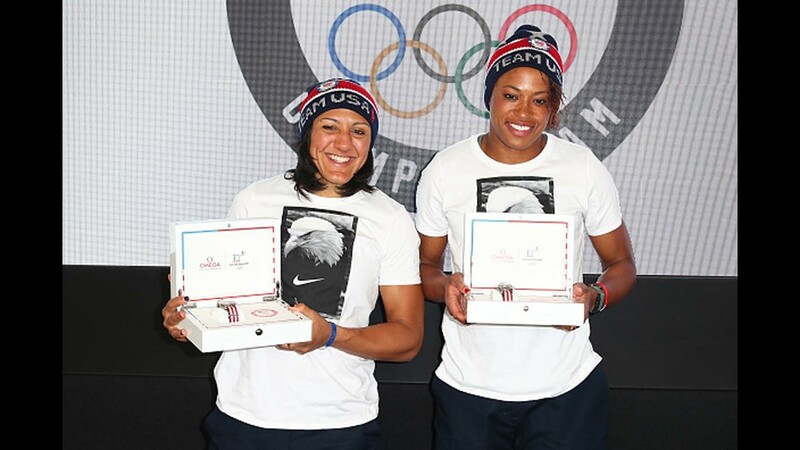 Elana Meyers Taylor and Lauren Gibbs of the United States, silver, and Kaillie Humphries and Phylicia George of Canada, bronze, celebrate after the Women's Bobsleigh during the Winter Olympic Games on February 21, 2018. 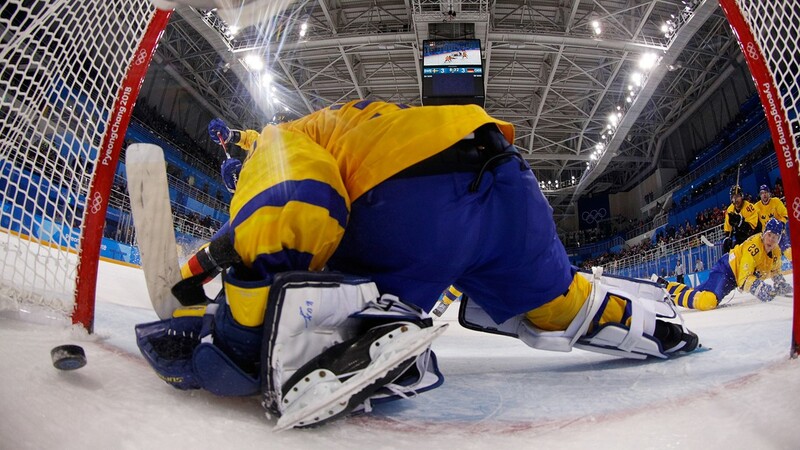 Patrick Reimer #37 of Germany scores a goal against Viktor Fasth #30 of Sweden in overtime to win 4-3 during the Women's Ice Hockey Bronze Medal game of the PyeongChang 2018 Winter Olympic Games on February 21, 2018. 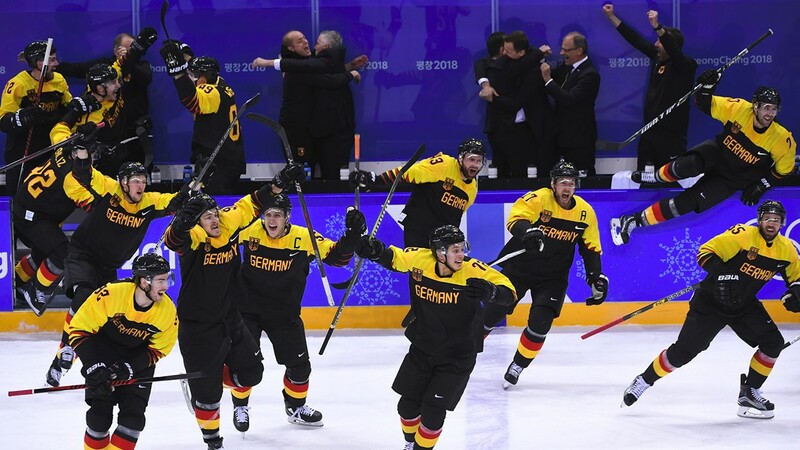 Germany players celebrate their victory after the men's quarter-final ice hockey match between Sweden and Germany during the Pyeongchang 2018 Winter Olympic Games on February 21, 2018. 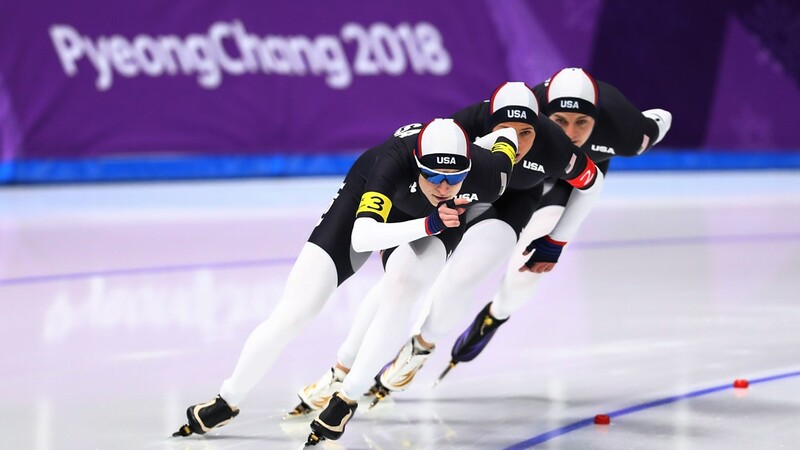 Sverre Lunde Pedersen, Havard Bokko and Simen Spieler Nilsen of Norway compete during the Men's Team Pursuit Semifinal 2 Speed Skating during the PyeongChang 2018 Winter Olympic Games on February 21, 2018 in Gangneung, South Korea. 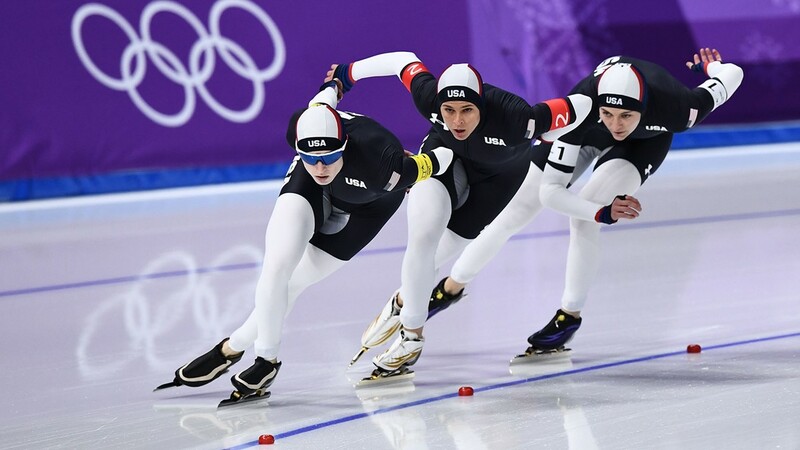 USA's Mia Manganello, USA's Brittany Bowe and USA's Heather Bergsma compete in the women's team pursuit final B speed skating event during the Pyeongchang 2018 Winter Olympic Games on February 21, 2018.